★ BNISE Worldwide Warranty – 100% MONEY BACK GUARANTEE: You are protected by a lifetime, no-questions asked, money back guarantee along with world class customer service! BNISE is a high-end brand in the field of optical; BNISE has devoted to professional design and production of optical high-end products more than 20 years and the factory has more than 100 professionals in the optical system design and research, thus ensuring the strong technical background and development ability in high-end advanced optical technology in optical field; BNISE mainly produce and sale to the United States, Japan and Germany and other developed markets and participates in various optical technology exhibitions all the year round; in 2015, the annual sales were beyond one hundred million dollars. Looking forward to the future, BNISE hopes to provide higher quality, better service, and life-time durable optical products for consumers. With super waterproof function,full broadband multi-coated blue film,natural rubber ring to protect the skin. 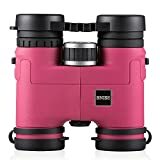 Provides sharp clear optical performance at an unbelievable value.With high magnification and lightweight. 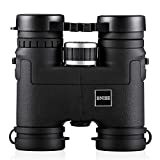 20 x 50 binoculars,20mm Large field eyepieces,50mm super large Objective lens, 20 x 50 magnification,All-optical prism,keep the original color of objects. Central precision flat quick-adjusting the focus and the right eyepiece fine-tuning. Great for travel,walking,bird watching,climbing,hunting,boating/yachting and other outdoor sports. Ideal for bird watching, walking, climbing, boating/yachting, travel, as well as other outdoor recreations. 1.Close your right eye and sight an object with your left eye. 2.Focus the binocular by rotating the center focus wheel until the image is sharp and clear. 3.Open your right eye and close your left eye, rotate the right eyepiece until the object sighted is sharp and clear. 4.Both sides (eyes) are now in focus and you will need to use only the center focus wheel to focus on the other object.